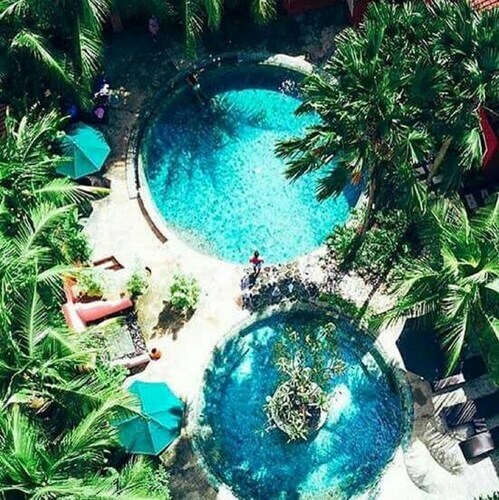 This family-friendly Pecatu hotel is located by the ocean, within 1 mi (2 km) of Padang Padang Beach and Bingin Beach. Blue Point Beach and Suluban Beach are also within 3 mi (5 km). 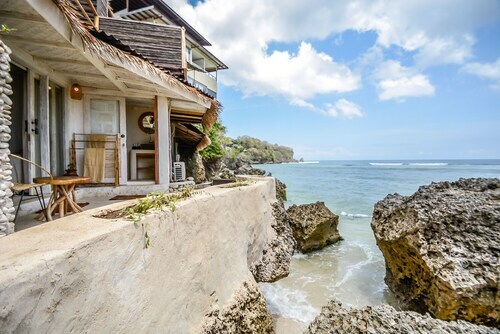 Situated on the beach, this guesthouse is steps from Padang Padang Beach and Uluwatu. Uluwatu Temple and Uluwatu Beach are also within 3 mi (5 km). 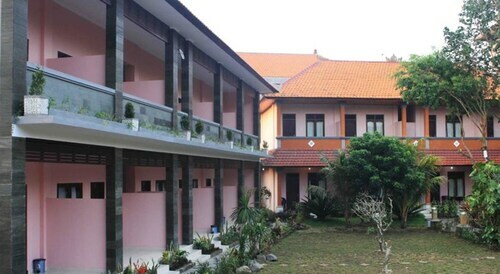 Situated in Pecatu, this hostel is steps from Padang Padang Beach and Uluwatu. Uluwatu Temple and Uluwatu Beach are also within 3 mi (5 km). 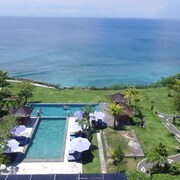 Situated by the ocean, this hotel is within a 5-minute walk of Uluwatu and Padang Padang Beach. Uluwatu Temple and Uluwatu Beach are also within 3 mi (5 km). 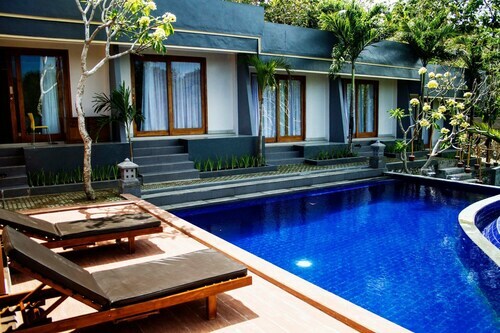 Situated in Pecatu, this hotel is within a 5-minute walk of Uluwatu and Padang Padang Beach. Uluwatu Temple and Uluwatu Beach are also within 3 mi (5 km). Situated near the airport, this hotel is 0.2 mi (0.3 km) from Padang Padang Beach and 3.1 mi (4.9 km) from New Kuta Golf. New Kuta Green Park and Balangan Beach are also within 9 mi (15 km). 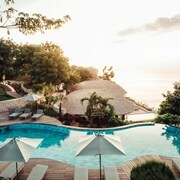 Nestled on the beach, this Pecatu hotel is within a 15-minute walk of Uluwatu and Bingin Beach. Padang Padang Beach is 1 mi (1.7 km) away. 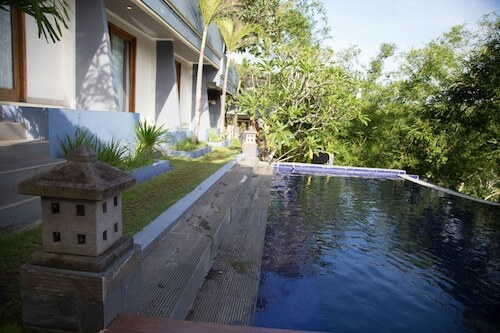 Situated in Pecatu, this villa is within a 10-minute walk of Uluwatu and Padang Padang Beach. Uluwatu Temple and Uluwatu Beach are also within 3 mi (5 km). 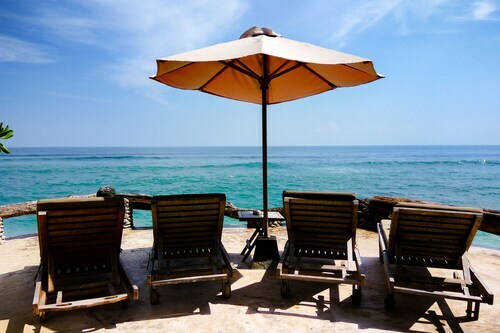 Situated by the sea, this hotel is within a 10-minute walk of Uluwatu and Padang Padang Beach. Uluwatu Temple and Uluwatu Beach are also within 3 mi (5 km). 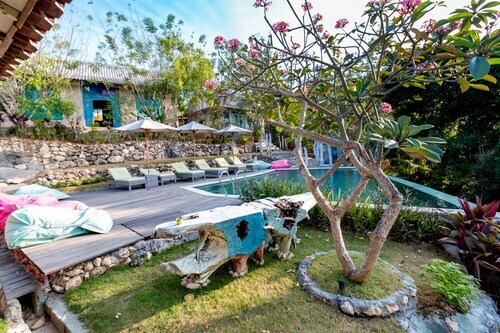 Situated in Pecatu, this hotel is within a 10-minute walk of Uluwatu and Padang Padang Beach. Uluwatu Temple and Uluwatu Beach are also within 3 mi (5 km). Do you want to find out a little more about Padang Padang Beach before you book your flights? Here are a few tips. It definitely won't be the only thing you'll want to see in Pecatu. Getting from your hotel to Padang Padang Beach will be a piece of cake if you stay nearby, and you're not short on options. 51 await within 3 kilometres. 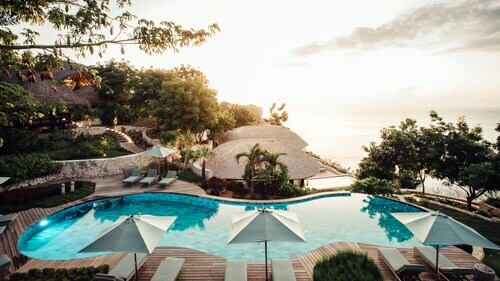 Check out the rates at the C151 Luxury Villas at Dreamland (0.7 kilometres), the Alila Villas Uluwatu (3 kilometres) and the Anantara Uluwatu Bali Resort (0.6 kilometres). 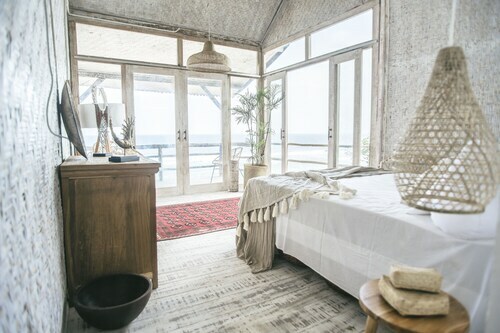 You'll be able to save your dollars for more memorable things if you book in at a low-price accommodation. The Bingin Inn, a kilometre away, and the Belong Bunter Homestay, 0.7 kilometres away, are some of the recommended choices. 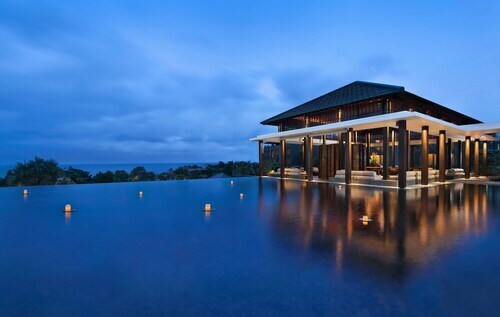 Soak up the atmosphere at one of the numerous luxury hotels nearby. 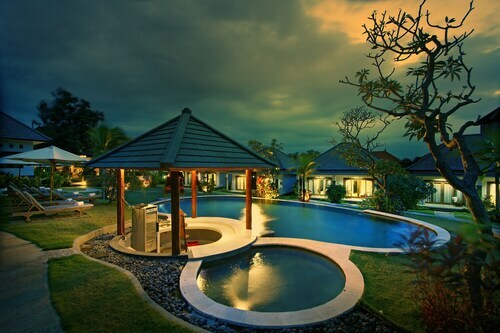 Start with the Blue Point Bay Villas and Spa, 2 kilometres away. 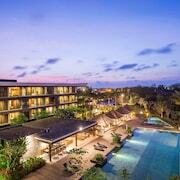 The New Kuta Hotel, a kilometre away, is also highly recommended. Get your morning started right with a tea or coffee at The Mango Tree Cafe. Fortunately, it's close to Padang Padang Beach. 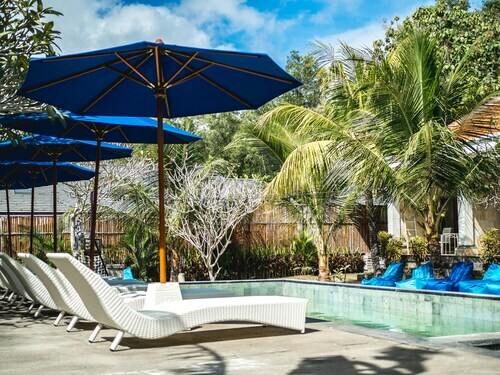 For something really satisfying, grab a seat for lunch at Blue Heaven Bali. Are you thirsty yet? Get yourself to dedari theory for a beer or a wine. Recharge your soul when you spend the afternoon at Bingin Beach. Bring the kids, and bask in the sun! There's nothing quite like the joy of sitting by the sea. Be sure to visit Suluban Beach. 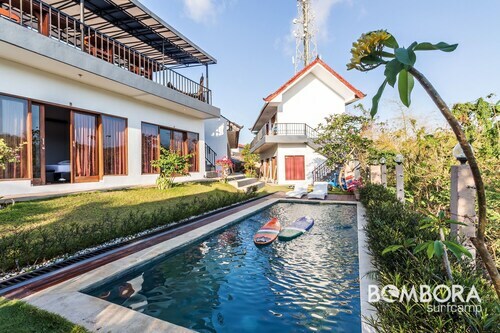 You'll have tons of fun playing in the water, and lounging on the shore at New Kuta Beach. Splash about in the water until your skin is all wrinkly at New Kuta Green Park, a destination where the entire family can take a break in the water. Aim for a hole-in-one or at least keep away from the water at New Kuta Golf. How Much is a Hotel Room in Padang Padang Beach? Hotels in Padang Padang Beach start at AU$30 per night. Prices and availability subject to change. Additional terms may apply.